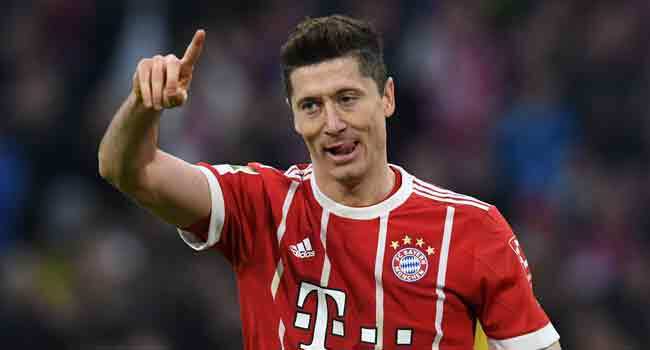 Bayern Munich chairman Karl-Heinz Rummenigge has said Robert Lewandowski is not for sale — at any price — amid reports Chelsea are the latest top club chasing the Poland striker. “Our door remains closed, the top quality we have at Bayern Munich will stay here,” Rummenigge told Wednesday’s edition of Munich-based newspaper TZ. However, Rummenigge says Lewandowski, the Bundesliga’s top-scorer last season with 29 goals and who has a market value of around 85 million euros ($99 million), is going nowhere — whatever the amount offered. “With Robert, we clearly want to send a signal to people within and outside the club: Bayern Munich are completely different to other clubs who get weak when certain sums are mentioned,” added Rummenigge. “We are completely satisfied with him, and in his position, there are only a few players who are comparable. At the other end of the financial scale, Bayern have signed Robert Kovac as an assistant coach for a nominal fee of just one euro. “Yes, it’s true,” Eintracht’s director of sports Fredi Bobic confirmed in German daily Bild. “It could have also been zero, so we agreed on a symbolic gesture of a euro, also for legal reasons.